CG design including sports graphics, 3DCG, and CG synthesis to shot video. TECHNONET will provide creative services to enrich the content. TECHNONET has made a lot of CG designs for TV programs and event exhibition images, mainly on sports graphics. 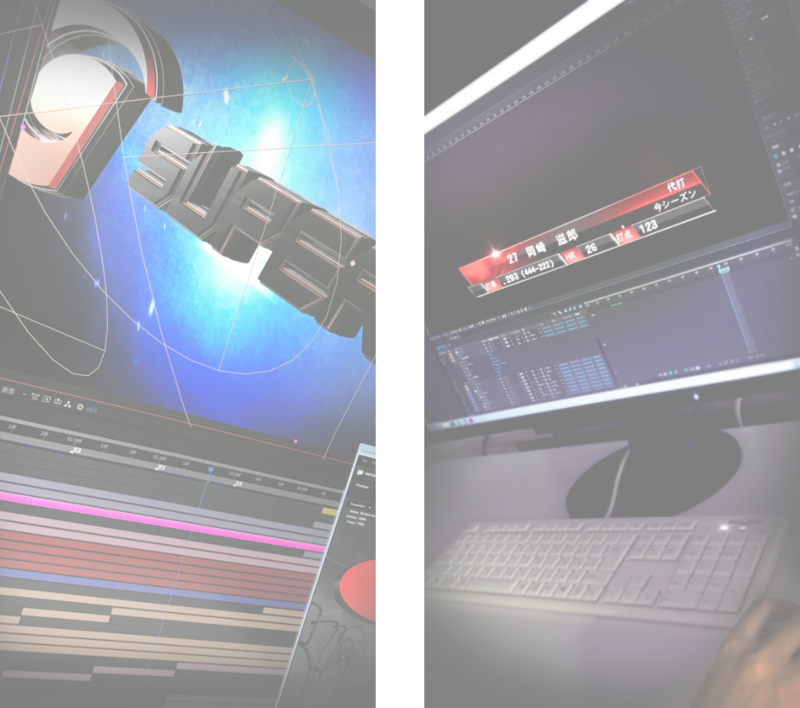 We will also produce 2D / 3DCG such as opening animation and logo animation. In the service for the Internet, we also provide website-related designs, video editing and illustration production such as video distribution and exhibition sites. In the field of CG production, TECHNONET has made a wide range from 3D full animation to 2DCG which synthesizes with real picture on alpha channel. We specialize in highlighted numbers and letters and the production combined the attention effect with video.For Web services, we are working on creating interface designs that are easy to understand and encourage user operations. Opening CG of sports program and information program etc./ Sports graphics/ Video material with CG/ Website design with video service/ Unified design parts production conformed to Services and CI/ etc.